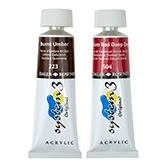 Acrylic paints is an excellent choice for painters who liketo paint pictures quickly and expressive. 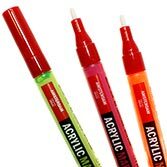 Modern acrylic paints arecharacterized by similar features, which until recently were the domain oftraditional oil paints. 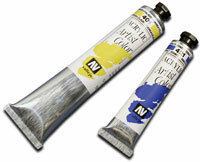 Acrylic company TalensRembrandt, WinsorNewton or Ferrario satisfy the most demanding ofpainters. Very good reputation enjoyed by the acrylic paints Renenesans and Apa Colors. 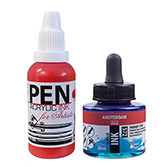 Starter sets authors recommend paint acrylic company Phoenix. 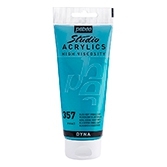 Acrylic paints in a set recommended especially for student students and hobbyists. 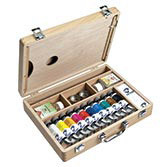 If you want to start painting in acrylic technology then buy one of the paint sets. You will soon learn why acrylic paints are becoming increasingly popular even among professional painters. 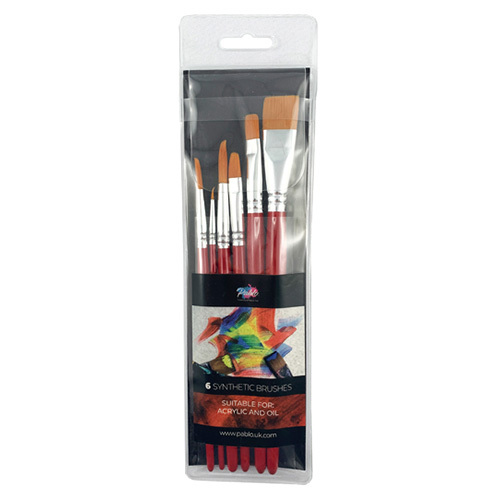 Acrylic paints Phoenix made from high quality pigments. The advantageof paint is fast time drying , so you can quickly put another layer. Itgives clear and solid colours. 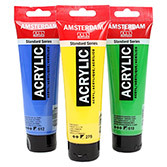 Amsterdam acrylic paints are very versatile paints of the highest quality. They are resistant to alkali, which guarantees that the work will last for years, pigments do not contain harmful heavy metals. Acrylic paints Van Gogh is very versatile and hence can be successfullyapplied to various painting techniques and to obtain various effects,like: watercolour paint and effects of such an oil, collages, murals, etc. 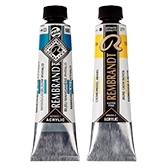 All acrylic paints Talens Rembrandt havethe same degree of luster, and after drying obtain silk sheen. 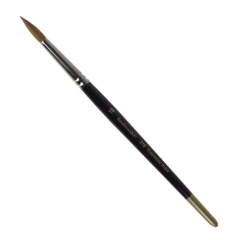 The consistencyof butter can impose both thick paint, with a clear trace of brush and gentlywith little dilution. After drying paints do not crack and retain their flexibility. 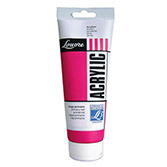 Essential ArtCreation is a reliable acrylic paint that is 100% acrylic resin based. 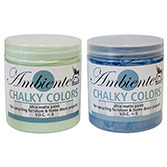 The paints are light pasty consistency, have a silky sheen after drying. They can be used both straight from the tube and diluted with water. 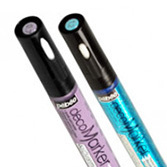 Royal Talens offers a range of excellent quality acrylic markers for drawing and writing on a variety of surfaces: great for canvas, wood, paper, cardboard, metal, terracotta and plastic. 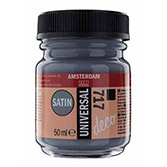 Universal water-based decorative paints with satin gloss, based on water, dry after waterproof. 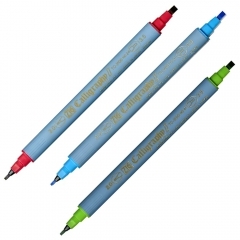 Choose from a wide variety of 62 intense colours that are resistant to light. 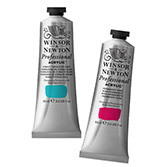 Winsor & Newton's Acrylic Paints Series is a high quality product for professionals. The series is characterized by unparalleled glow and depth of colour with guaranteed immutability of the hue after the paint has dried. 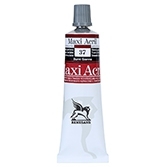 Acrylic paints with range of Gallery a variety quality material acrylic, which provides professional effects artistic. 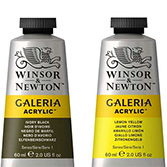 Ideal for developers who want good quality paints at an affordable price. 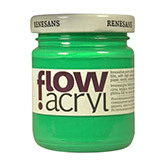 Acrylic paints Renesans Acryl 200 ml perfect proposal for artistsconsuming large quantities of paint. 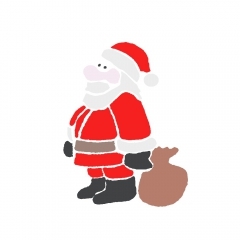 Paints are dense and contain a very largeamount of pigment. Production of paint is completely manual and unlike the chineseproducts contain a smaller amount of water. Maxi Acril thanks for practicality and durability reaches notgrowing group of artists. Paints consist of an aqueous emulsion of acrylicpolymer, which occurred in the pigment dispersion, after drying become totallyanything handle. Thanks for practicality and durability reaches not growing group of artists. Paints consist of an aqueous emulsion of acrylic polymer, which occurred in the pigment dispersion, after drying become totally anything handle. 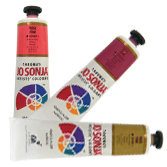 The modern formula of acrylic paints created on the basis of technologically advanced emulsion acrylic resin and vinyl. 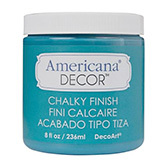 After drying paint creates an extremely durable and flexible coating, intense and great coat. 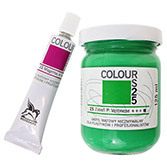 Daler Rowney acrylic paints are an excellent quality product recommended for both amateurs and professionals. 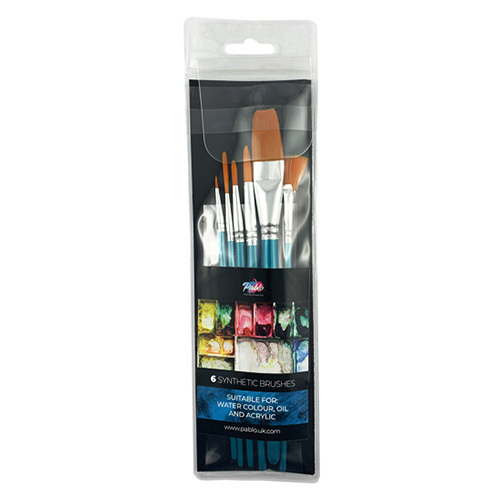 The paints dry in minutes, giving a satin effect with intense colours. 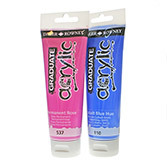 Acrylic Paints Graduate Acrylic is a range of paints in everyone's range: student and hobbyist. There are strong colours in the palette, which can be easily brushed onto a given surface. 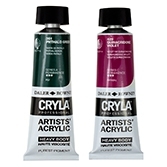 Daler-Rowney's Cryla Acrylic paints were launched in 1963 and were the first acrylic paints in Europe. After many years of lab work, in collaboration with the best artists from all over the world, a new formula of paint has been developed that ensures maximum pigment concentration. 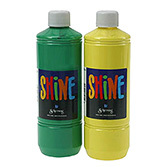 Schjerning Shine acrylic paints are clean, strong, perfectly covering colours. 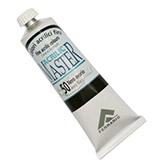 Acrylic Master are ideal for professionalpainters. Characteristic features of this product are: quick drying, good resistance tothe effects of light, good adhesion to the surface, flexibility, saturation colorand durability after drying to water and oil. 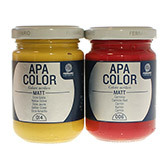 APA Color acrylic paints is matte, handleanything, the specific chemical composition (acrylic emulsion) allows forexcellent adhesion to a variety of surfaces (roll canvas, paper, cardboard, plywood,fibreboard). 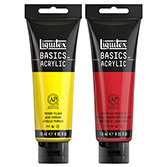 Paints acrylic Basics have a recognition of artistsworldwide. Meet the expectations of professional artists. Because it is easy tocombine with one by one form an infinite variety of colours. They are durableand resistant to light. 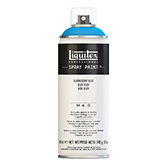 Professional water based Liquitex Professional spray paints. 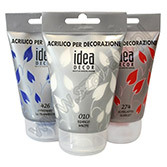 Developed in collaboration with artists.Most colour of the hiding, lightfast, emitting little odour. 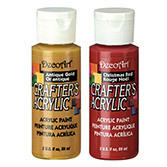 Decorative water-based paints from DecorArt USA. Thanks to a wide range of colours, everyone will find it interesting colour. Paints can be mixed together to create an unlimited amount of colour. 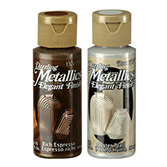 Dazzling Metallics is a unique high pigmented paint of unprecedented unevenness, ideal for applying anything, even textiles, candles and glasses to any surface, without additional media. 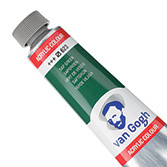 Shiny acrylic paints by French company Lefranc & Bourgeois. 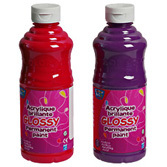 Paints with slightly liquid consistency recommended for artistic education and semi-professional artistic applications. Acrylicpaints Lefranc & Bourgeois series Louvre Acrylic. 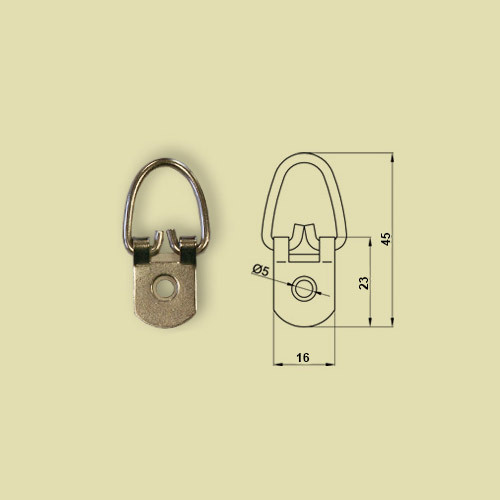 Key features include:the possibility of combining with other colours of the same type, the use ofdifferent types of ground water solubility, short time drying, the possibilityof applying the various techniques of painting. 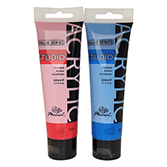 ACRYLICOS VALLEJO acrylics, based on the best quality emulsion of acrylic copolymer, contain high amount of artistic pigments. The formula of these paints has been developed to provide maximum opacity, colour purity and durability. 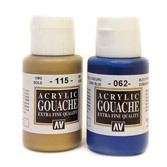 Acrylic Paints Vallejo Spanish company. 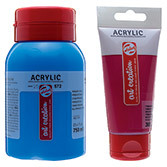 Matt acrylic paints available in 38 colours and glossy metallic colours. 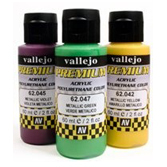 Premium RC-Color Vallejo is a safe, water-based, non-toxic paint for all surfaces, especially for metals, fiberglass, polyethylene and polycarbonate. 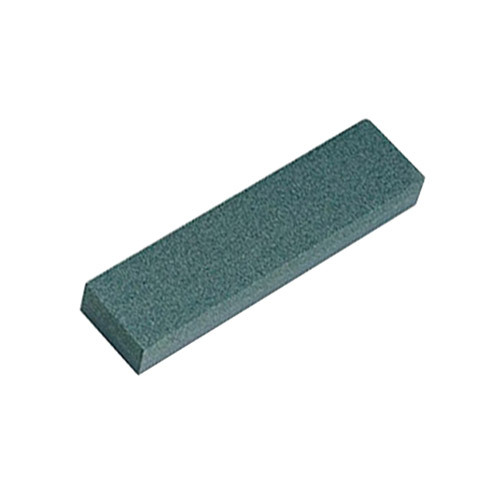 Ideal for aerographers. Specially formulated formula is designed to achieve the best adhesion and durability of the paint. High quality paint suitable for decorating different types of surfaces such as wood, glass, plastic, terracotta, ceramics, metal, canvas, etc. 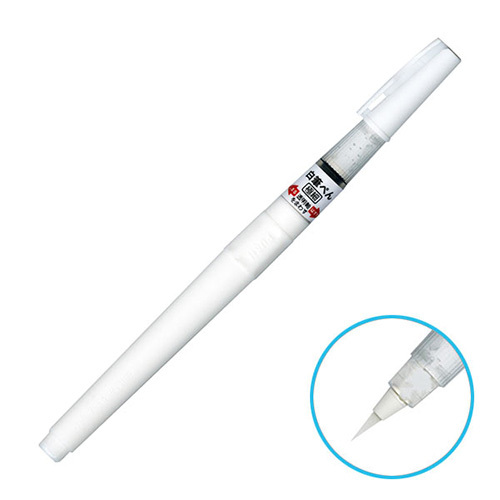 It provides excellent adhesion, does not require priming even on slippery surfaces. 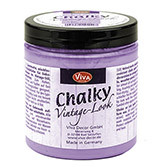 Chalk satin paint in Vintage colours. The paint is suitable for any porous surface as well as for slippery surfaces such as glass, plastic or painted wood. 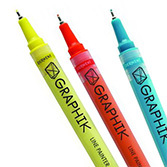 Graphik Line Painter is a pen filled with paint. 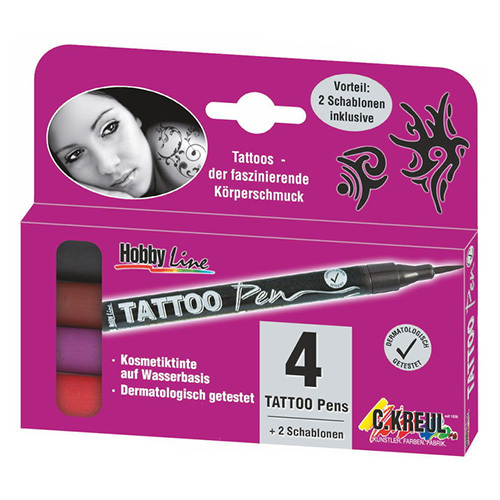 It has a tip of 0.5cm thickness in 20 colours. It has a transparent cover, so you can see the colour. 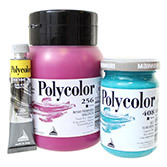 POLYCOLOR designed for versatile painting techniques, painting revolutionized the world in the last 50 years. Contain special binder acrylic emulsion, a product of advanced technology to dry, creating an exceptionally strong, resistant, flexible and opaque shell. 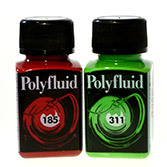 Polyfluid is a series of high quality liquid acrylic paints from Maimeri. 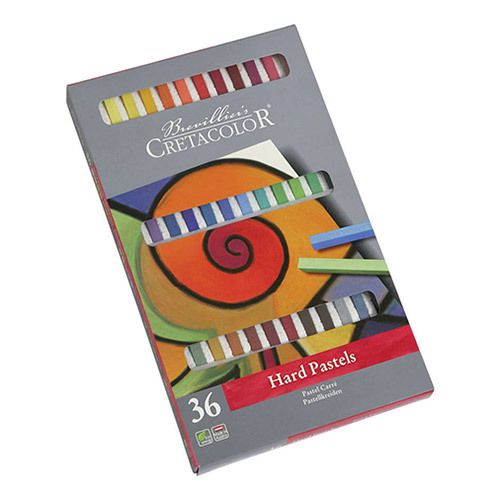 30 expressive, vibrant colours are available that easily mix with each other, creating new shades. Chromacryl is a colour system that has been carefully designed to provide a full range of shades. 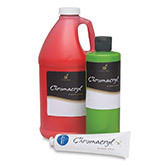 Mixing and colour matching in Chromacryl is a simple and grateful task. Eightunique colours that capture the light, reflecting and multiplies them. 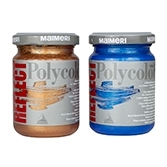 Polycolor Reflect with high pigment granules are characterized by pearlyreflections after drying. Transparent. 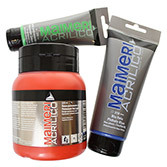 Maimeri Acrylico replace a series of Start. They have a richer paletteof colours that includes 48 colours. 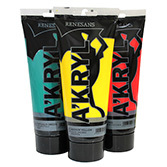 Available in three tube sizes: 75ml,200ml and 500ml. 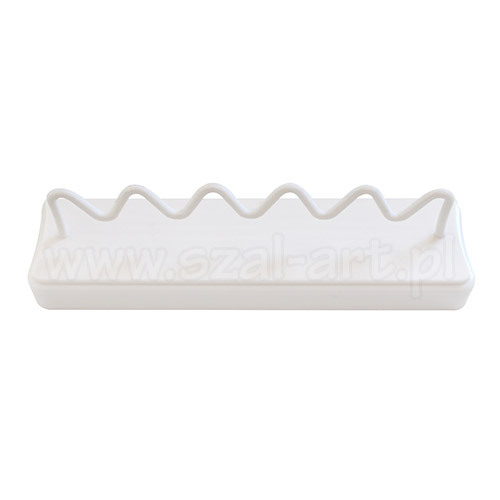 Pasta structuralPolycolor Body are used to preparethe ground for relief acrylic painting.As a spontaneous medium, are used to give the work a three-dimensional effect. Foruse in decorating. 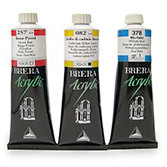 Acrylic paints Brera is an excellent series 72 paint withthe highest resistance to light. 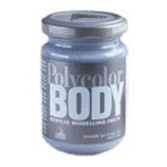 In addition to the most popular colour byartists, this series includes paint metallic and translucent, ideal for use incontemporary, scenery and special effects. These special paints made withvaluable materials. 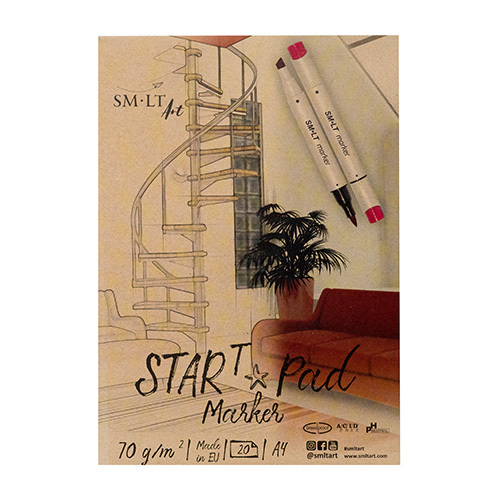 Paints of interesting colours, easy to apply, durable, allowing you to decorate any kind of surface, starting from cardboard, through plastic, metal and even glass. 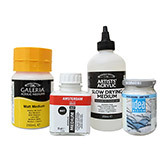 All kinds of painting media for acrylic paints, such as: varnishes, paint coat delayers, soils and much more.